Alghanim Industries is looking for a Graphic Designer. If you meet the requirements below, you will be eligible to apply via Digital Marketing Community. Design new in-store branding concepts and existing concepts implementation. Design corporate ID`s, logos, graphics, POP and all other relevant retail and F&B executions. Perform and present good quality mock-up visuals for each project. Produce user-friendly guidelines and manuals. Bachelor’s degree or diploma in graphic designing. At least 2 years of interior and graphic design experience. Proficient working experience in using (Adobe Illustrator, In Design and Photoshop). Ability to work under pressure and deliver finished results to deadlines successfully. Ability to communicate with customers in brand language visuals in a clear and concise manner. 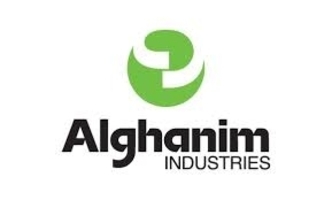 Alghanim Industries is one of the largest, privately-owned companies in the Gulf region a multi-national company in outlook with operations in 40 countries, Alghanim Industries is a multi-billion dollar conglomerate with more than 30 businesses a market leader in almost every major sector in which it operates and renowned for its progressive business culture and management philosophy, the company has a long history of success built upon the early adoption of global best practices.